WMTS features the latest in Machine Tools, Tooling and Workholding, Metalworking and Welding, and Advanced Manufacturing including Additive Manufacturing, Automation and Robotics, and Industry 4.0. WMTS provides a unique, hands-on marketplace in which attendees can discover what's new in manufacturing. Discover the technologies, processes and applications that enable businesses like yours to accelerate delivery, increase affordability, and drive innovations throughout the supply chain. 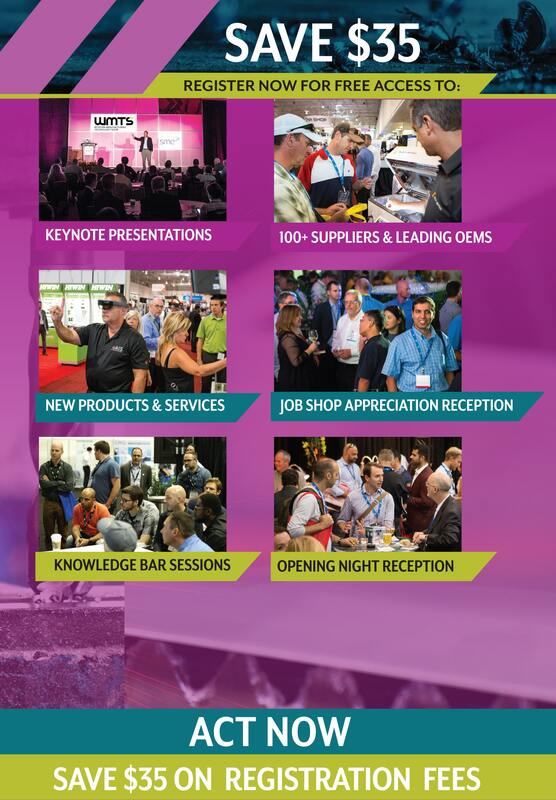 WMTS 2019 will include complimentary education sessions and keynote presentations from industry experts along networking and interactive experiences for visitors.